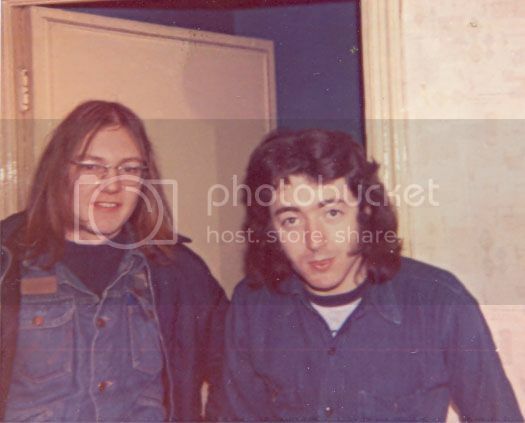 1st December 1973, Empire Theatre, Edinburgh. Me and my mate travelled by train to Edinburgh. Got to the theatre at 6pm to collect our tickets at the box office only to find out that Rory was due on stage at 11.30pm. Reason was a bingo session was on from 7 to 10pm. This would mean we would miss the last train home, so after the show we slept in the train station and then got a bus home next morning. I can't remember much about the show. Outside afterwards it was freezing cold. We eventually found the stage door and saw Donal who took us into the dressing room area and we got to meet Rory and get a picture taken. This was the first picture I got with Rory. 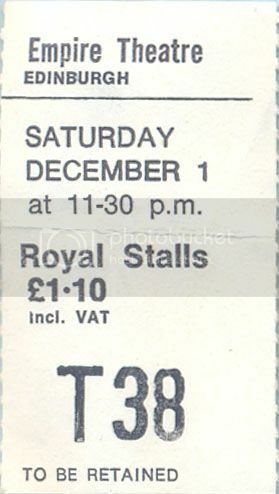 There's a good Empire Theatre webpage with fans pictures of bands and ticket stubs of gigs at the Empire. 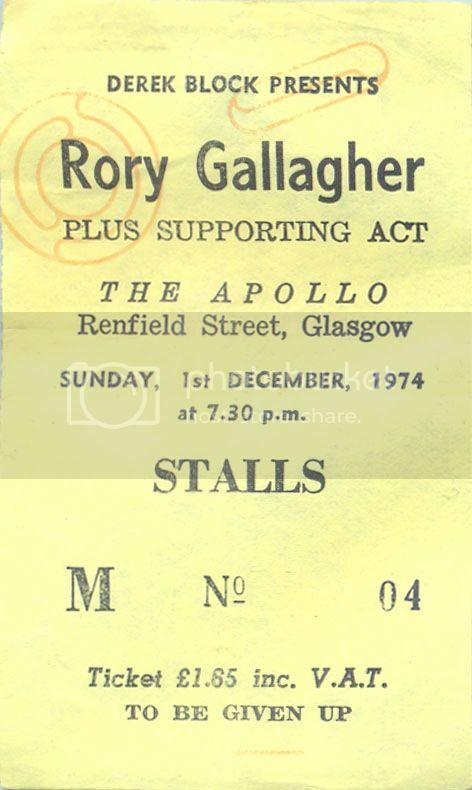 1st December 1974, Apollo, Glasgow. No pictures from this show. We were in the stalls and the place was jumping. Rory's shows at the Apollo were always special. The Glasgow crowd shouting out requests between numbers and the seemingly endless encores with the shows lasting 3 hours or more. We managed to speak to Donal when the show finished. He told us to wait at the stage door and he would get us backstage, but the stewards were clearing everyone away so we did not get to meet Rory on this occasion. We made up for it 4 days later when we went to Rory's shows at Blackpool and Newcastle. I will post info, photo's and ticket stubs of these shows in the next couple of days, 5th and 6th December. A good Apollo webpage here. 1 December 2017, no new information to report at this time. 1 December, 2018, no new information to report at this time. RobertaSparrow wrote: 1 December 2017, no new information to report at this time.